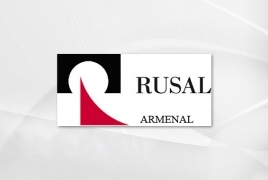 PanARMENIAN.Net - The U.S. Senate’s rejection Wednesday of a bid to block the easing of sanctions on Russian aluminum company Rusal PLC will have the practical effect of reducing pressure on an Armenian aluminum mill, reported the Armenian National Committee of America. The mill, owned by Armenal, employs 700 in Yerevan, indirectly supports thousands of area families, and exports products to U.S. and other international markets. Armenal, based in the Arabkir district of Armenia’s capital, Yerevan, supplies aluminum foil to packaged food, beverage, cigarette, and other export markets primarily in the U.S. and Europe. U.S. firms purchasing products from Armenal include Colorado-based Trinidad Benham Corp and Illinois-based Handi-Foil of America and Durable Packaging International. Senate efforts to block the Trump Administration’s decision to loosen sanctions against Rusal and the other two companies associated with Deripaska were blocked earlier on Wednesday, January 16, falling just short of the 60 votes needed under Senate rules.